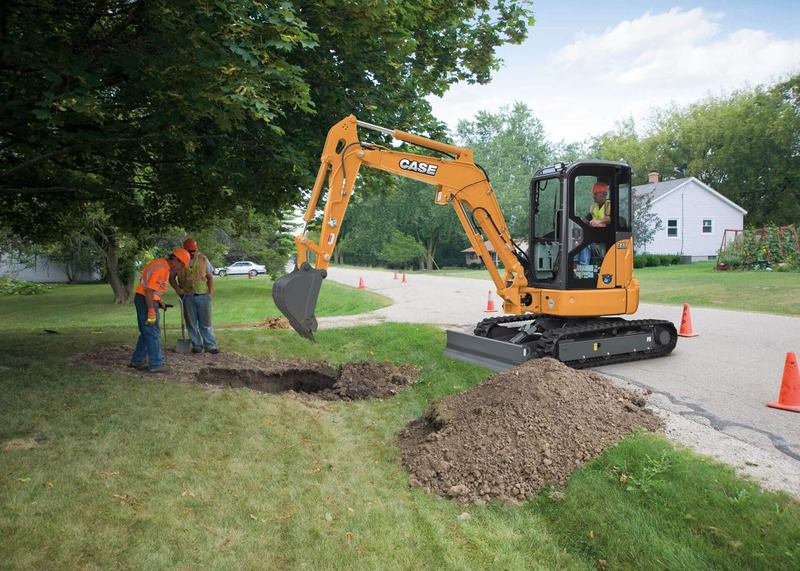 With a small footprint and zero tail swing, the CASE CX36B mini excavator gives you the ability to travel and work within tight, restricted areas. Increased engine power along with hydraulic pressure and hydraulic flow combine to provide you with more power and speed for better cycle times, getting you through the toughest jobs quickly. For the ultimate in operating comfort, the CX36B offers a 20% larger platform to keep you comfortable and productive all day long as well as a 40% wider door frame, allowing easy entry and exit. Parallel, unobstructed operation near obstacles, tree lines, and foundations can be done with the zero tail swing design and independent center swing boom. Rapid machine positioning and simultaneous moves of the swing-boom and house are accomplished via the foot pedal swing-boom control. Machine stability and backfilling are provided by the hydraulically-controlled backfill blade. For quicker backfilling of trenches, an optional angle blade is available. Surface damage is kept to a minimum due to the standard, durable rubber tracks while optional steel tracks provide even greater protection. The Yanmar engine is powered to match the performance of the CX36B. This engine meets the current Tier 4 Interim environmental standards while consuming less fuel. 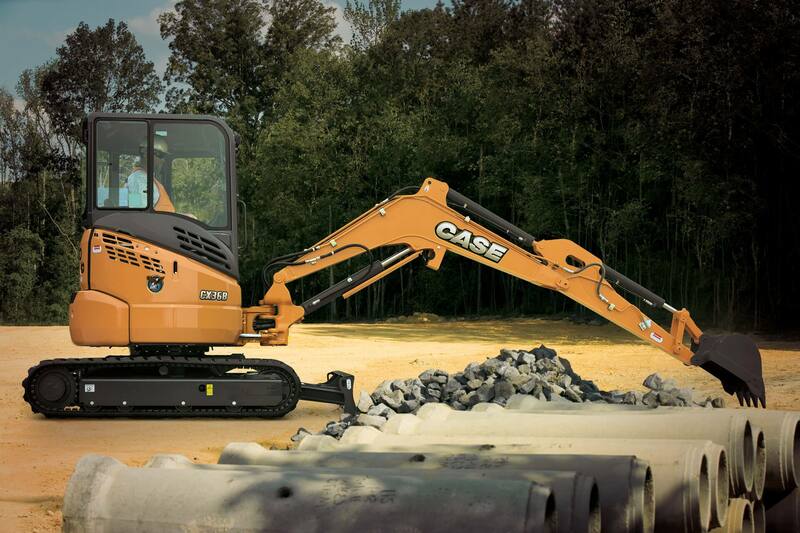 CASE Mini Excavators also feature a one touch deceleration to minimize fuel usage while not in operation. Finally, the integrated-flow pump system (IFPS) efficiently manages the pump flow during operation to maximize the use of engine power and increase the fuel efficiency. While operating the CX36B, the three post canopy provides exceptional visibility to all areas. For operators working in inclement weather, an available enclosed cab with heat or with heat and air conditioning are available options. Responsive performance and low fatigue are delivered through the smooth, intuitive pilot controls. A standard pattern selector allows operators to choose their control pattern preference for optimum productivity. Get service and diagnostics done quickly and easily with a one-piece, swing-out side access panel. Grouped hydraulics and rear engine access provide the ability to do daily checks in no time at all. Purchased Protection Plan is an extension of the factory base and extended coverage is available at an additional cost. Your CASE dealer can help you determine the plan that fits your needs. 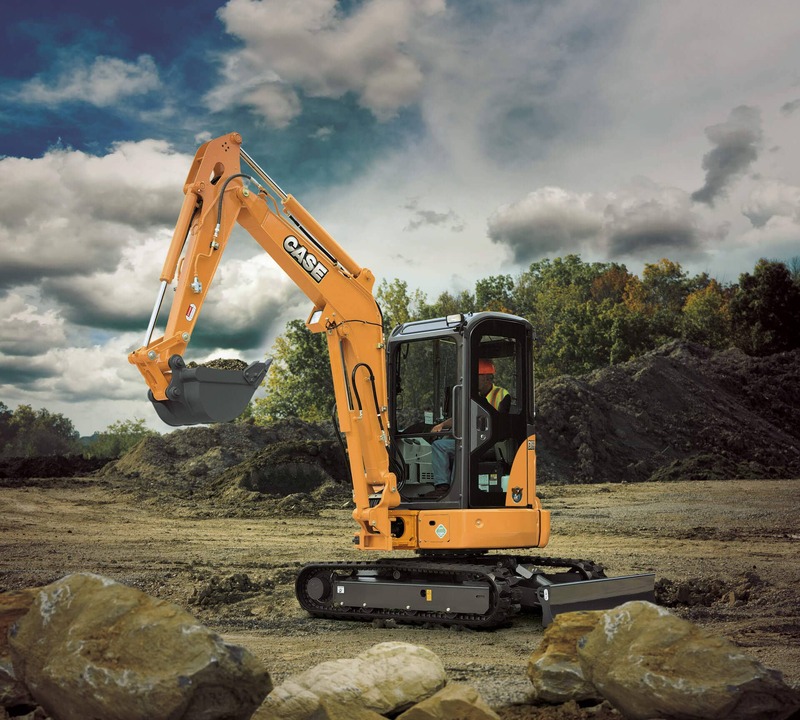 Plans are available up to three-years / 3,000 hours on CASE Compact Excavator models.